Virtually all homeowners will benefit by having lower tax rates contrary to what many political pundits would have you believe. All you have to do is look at the charts. The capital gains’ rules remain unchanged under the new tax bill. What does that mean? 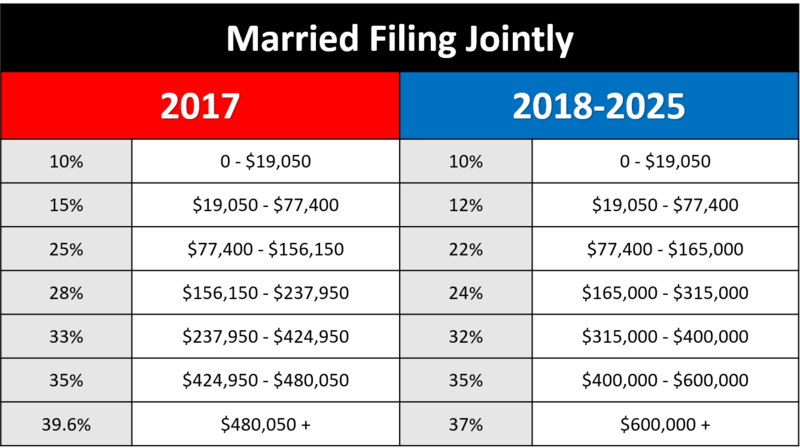 Anyone, regardless of age, can exclude up to $250,000 of gain if a single person or $500,000 for a married couple filing jointly on the sale of a home. That means most people will pay no tax unless they have lived there for less than 2 out of the last 5 years. You can use this capital gain exclusion to avoid tax on a home sale over and over as long as you live. I’m not going to get into the boring math stuff on how to actually calculate what your potential gain might be. There are plenty of resources out there to assist you in figuring out whether you owe tax or not, including a good tax accountant. The status quo prevails. Neither positive or negative for homeowners. New homebuyers would now only be able to deduct interest on the first $750,000 of mortgage debt on a newly-purchased home. That’s down from the current $1 million threshold. This may not impact too many homeowners in Central Pennsylvania, but this reduction could have a big impact in high-priced markets like New York City or Los Angeles. By the way, if you currently have a mortgage that is higher than $750,000, you are grandfathered under the higher threshold. While there was a lot of focus on the mortgage interest deduction leading up to the unveiling of this tax bill, at the end of the day, it might not mean too much at all. That’s because also included with the tax bill was a doubling of the standard deduction which will lead to far fewer homeowners itemizing on their tax returns (see next section). One other item of note; the deduction for interest on home equity loans has been wiped out. No longer can you secure a home equity loan to pay for your kid’s college education and then deduct the interest that you paid to borrow the money. Thumbs down for upper-end homebuyers who will now have to limit their mortgage interest deduction. Everyone else? Virtually no change. The new standard deduction figures have doubled and are indexed for inflation. They are now $12,000 for single individuals and $24,000 for joint returns. Because of these huge jumps, the importance of mortgage interest and property tax deductions on tax returns, are vastly reduced. Preliminary estimates indicate that only 5-8% of taxpayers will now be able to take advantage of these deductions which means that the financial difference between owning a home and renting one will be negligible. Most taxpayers, whether a homeowner or renter, will benefit from the doubling of the standard deduction. 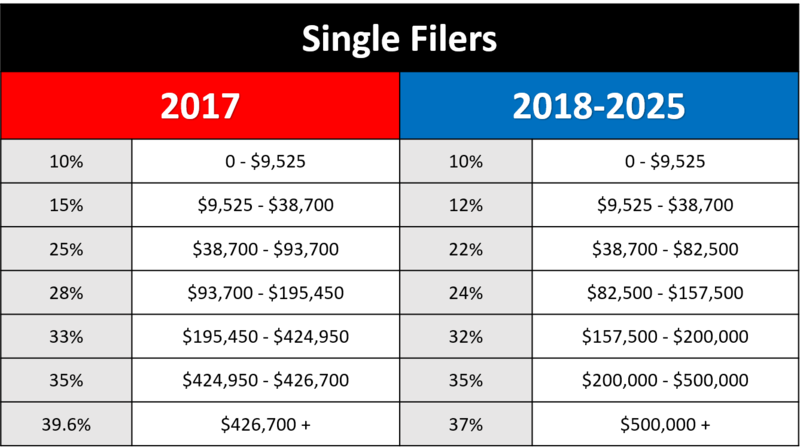 The new tax bill caps the amount of state and local property taxes and income or sales taxes at $10,000 for both single and married filers and is not indexed for inflation. This will impact many middle to upper-end taxpayers who were used to writing off more than this amount. Once again, at the end of the day, it could prove to be a wash because of the increased standard deduction. The new limit will adversely affect many property owners who have grown accustomed to deducting more than the new cap limit. Hmm . . . not sure. Keep in mind that all these individual components of the new tax bill shouldn’t be considered on an individual basis (like I just did). You have to throw them into a blender and hit the mix button until the results are at least puréed and we can taste the concoction. That could take a little time. Here’s to tasting a perfectly made banana daiquiri in 2018!